Designed and pieced together by my mother, this quilt was (we believe) intended for me, but still resided in the UFO (unfinished object) category at the time of her death. 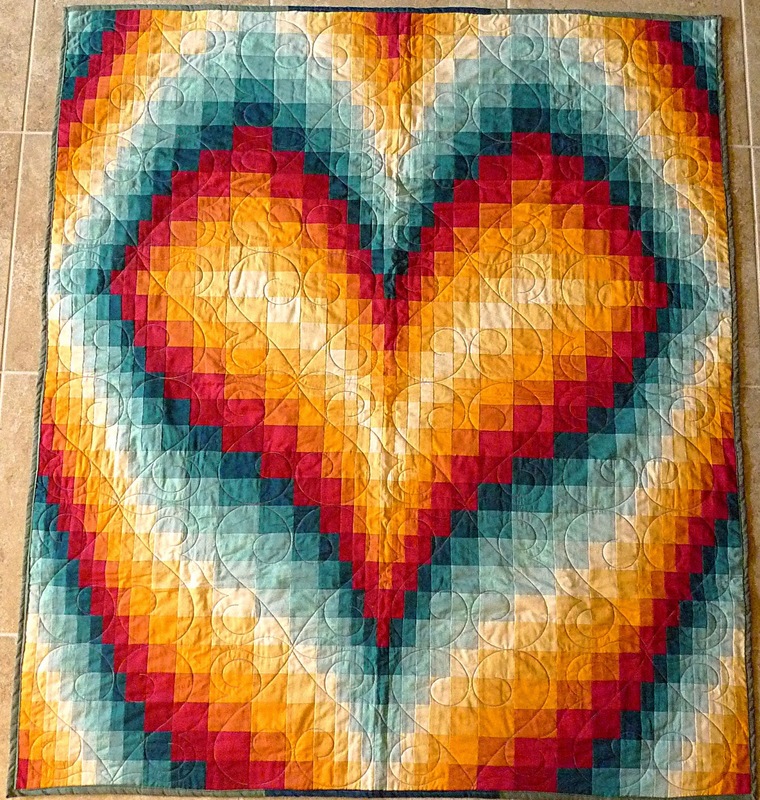 My sister had the pieced work professionally quilted and finished the edges and backing herself, and mailed the completed quilt to me a few weeks ago for my 45th birthday. As such, on Mother's Day, I can curl up on the couch and be warmed by the colorful heart and creativity of my mother. Happy Mother's Day, Mom. We miss you.